For most Indians, buying a house is a lifelong dream. Of course, while buying a house it is easy to get overwhelmed by the financing options available. Thankfully, if you take the time and effort to research, you can save a lot of money and hassle. Availing a home loan is not as easy as it used to be. There are multiple processes and documentation involved it. Even a small misstep and your home loan can get rejected. 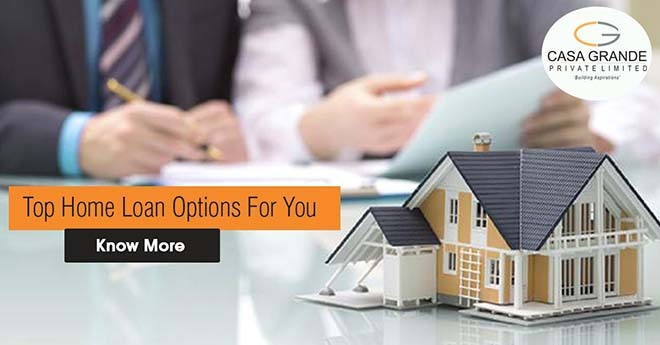 So if you are looking for a home loan, read on to know about the best home loan options available to you. Fixed interest rate: Fixed interest rate is an interest rate where repayment of home loans in fixed equal installments over a stipulated period of time. The interest does not change even if there is a fluctuation in the market. Floating interest rate: As the name suggests, this type of interest rate is when the rate of interest varies with market conditions. They are usually cheaper than fixed loan rates; however, they can increase depending on the market conditions. The fee charged by financial institutes to cover the basic expenditure to process your home loan is referred to as the processing fee. This fee varies from bank to bank and is usually anywhere between 0.5–1 per cent. In case you are looking to pay off your loan ahead of the stipulated time period, do remember there is a prepayment fee that you will have to pay. This fee is only applicable on fixed rate home loans and not the floating rate home loans as the RBI has as the RBI has barred the lenders from charging prepayment penalty on floating rate home loans. If there is a delay in paying EMIs, lenders charge a penalty. This fee is usually high and can be as high as 2 per cent per month on the over dues EMIs. It is advisable for borrowers to check ahead before availing the loan.